To connect and serve people with integrity, insight and follow through to help families achieve their real estate goals. This is Kristina's guiding principle. A member of The Mike Reeder Team, this 17-year real estate veteran and lifelong resident of Evansville is known for her integrity, diplomacy and sincerity in all of her dealings. She brings her heart for service to the industry, her business, and also to her chosen charity…the Make-A-Wish Foundation. Winning the National Association of Realtor's prestigious Good Neighbor Award is proof of her commitment to the industry and to our entire community. Thanks to her exceptionally loyal clients, personal referrals and repeat business form the foundation for her business. 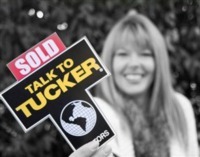 She is an expert in every aspect of the residential market including buyers, sellers and investors. She understands that your home is your largest financial asset and views guiding you through the process as a true privilege. When she has spare time, Kristina enjoys volunteering in the community, reading, traveling and spending time with her family. The Mike Reeder Team has provided the Tri-State area with high-quality real estate customer service since 1996. They have a genuine passion to serve those who place their largest investment in their hands. They take great pride in being in a referral-based business, and allow the appropriate time to provide each client with the attention and care he or she deserves. When you are thinking of your next move Talk To The Mike Reeder Team! "Our property had over 40 showings and sold in 17 days. Mike was always a text or phone call away, day or night. Great commitment to the entire process, listing through closing. Well organized and effective support staff. 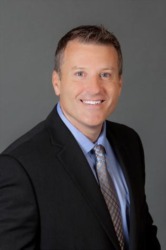 Certainly one of the best agents in Evansville." "Michael Reeder worked hard for me on getting a great deal on the purchase of my Home! I could not of had a better person who was professional and kept me informed through out the entire process!" "Mike was able to move our existing home quickly while guiding us through the purchase of a new home. Mike is a true professional and his knowledge of the local market was critical to the success of both our sale and purchase." "We had a great experience selling our home with the Reeder team of Mike Reeder and Kristina Rhodes. We were happy with their level of service before and during the closing of our home. When we received a offer, we were impressed with their negotiation skills, we were happy with the selling price. We have referred the Reeder team to family and friends an will continue to speak very highly of them." "Mike is an awesome guy. He really streamlines the whole process and acts as a trusted adviser throughout the entire home buying and selling process. He has a "guy" for everything. If he doesn't know something, he always knows someone who does. He saved us $6,000 at the last minute on our last closing without prompting from us. He really earned my respect after that. That honestly takes a lot to do"
"He helped us to swiftly negotiate a great deal on a sought-after home. There were quite a few viewings scheduled after ours and he helped us navigate a fair and quick deal to avoid a bidding war"
"Mike Reeder is the best real estate agent ever! Everything from the initial meeting to look at my house to the final closing was excellent. I could not have been happier with his service. I will not buy or sell a house without Mike Reeder:)." "Selling our home with Mike was a great experience. He was professional, knowledgeable, and kept us up-to-date throughout the entire process. Our home sold quickly and was a simple process thanks to Mike. He simultaneously found us a new home, exactly what we were looking for, and we were able to move from one place to another with no delay. I would strongly recommend giving Mike a call"
"We recently worked with Michael Reeder and Kristina Rhodes on the sale of our existing home and purchase of a new home. The process could not have been handled more professionally than it was by Team Reeder! The pictures they took and attention to detail was absolutely spot-on! They made all the right suggestions to get our home sold at our original asking price, and even brought us an offer the very next day after we listed it! When it came time to find and purchase the right home for our family's future, they did all the right research, asked us all the right questions, showed us all the right homes, and walked us through every step of the process. There were some negotiations to be made with the seller, and they helped us make all the right moves to come to a great deal on our new home, and were extremely patient, while keeping everything moving right on track for closing on both properties. We simply cannot say enough great things about Team Reeder. If you are looking to buy or sell, look no further, because there simply is not a better experience in Residential Real Estate to be found! Thanks again, Mike & Kristina! " "Mike Reeder has sold two homes for me and he will list my third home in about 4 years. Mike is a kind and caring individual and I appreciate those qualities as well as his knowledge of real estate. I don't like to be in the mix of real estate sales and with Mike, I can tell him the big and small picture and let him us his professionalism with limited contact with me"
"We can't say enough about Team Reeder!! We have purchased and sold two homes with this fantastic team and the customer service, support, and dedication to you and your family is out of this world. Dana and I are so thankful to have worked with Mike and his team of go-getters. Awesome job!!!" "I would recommend him every time !!! He was always positive and reassuring. He gave us honest answers and suggestions which we really appreciated. He is knowledgeable, experienced, and well known and respected in our area. We appreciate Mike and his team." "I was looking for a quick sale or a high-end single family home I had both lived in and rented for 16 years. I interviewed several Realtors before I chose Michael. Outside of one small hiccup with a secondary provider he used, which he quickly corrected, things went very well and pretty quickly. We set a price where it would sell in 4 to 6 weeks and it did. I would use him again and I would recommend him to others I know in my situation"
"Total professional. The man knows his business and is backed up by a solid team. He has an incredibly positive attitude and an inherently trustworthy nature. Couldn't spend your hours touring homes with a better person. Made the home buying experience a real pleasure. Really efficient and dynamic work style. Got me into a home I am so happy with. Really flexible on scheduling and home tours. Patiently and happily adapted to my changing needs and desires as my home search expanded. Got me a good deal and saw to a smooth closing with no absolutely no hitches! Strongly recommended"
"Mike Reeder did an "outstanding job" as our realtor! With Mike's help and guidance, we sold our house in less than 1 week! He then helped us find our next home a week later! We are very impressed with Mike's professionalism and enthusiasm! Mike helped us every step of the way by dedicating time with us when we needed it the most. "